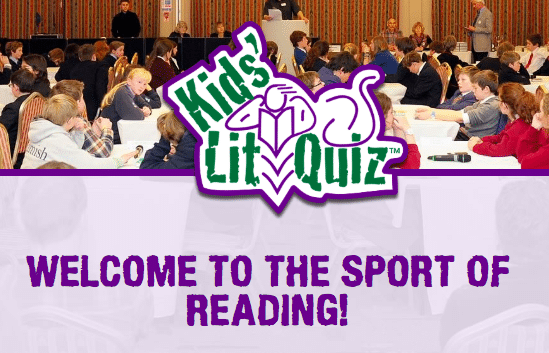 Kids Lit Quiz? If you are between 10 and 13 years old, keep reading…. On October 17, Patana School is hosting the first international “Kids’ Lit Quiz” event in Thailand and we are looking to send some teams from NIST. The Thailand winning team will then go on to the international finals to be held in Singapore next July. NOTE: Only students between the ages of 10 (as of 17 October, 2018) and 13 (as of July 1, 2019) are eligible. including the official Kids Lit Quiz website — and the website with information about the Thailand competition at Patana. Students who are interested can practice for the Kids’ Lit Quiz as part of the ECA called “The Enthusiasts” (see information below). However, if you can’t make it on Mondays after school, and are interested in joining the Kids’ Lit Quiz team, we can arrange other times to meet and practice. Just come and see us. This is a group for anyone with special interests and skills that they would like to have time to explore and extend. We will talk together about what you are enthusiastic about and plan ways to extend your skills and interests even further. – Read new books in the library collection and create book reviews to share with other students. – Become a library trainee and learn how the library works — and take a leading role in supporting and promoting the Secondary Library. – Write stories, novels, or cartoons/graphic novels — and/or design games and narratives using digital tools. – Participate in book-related quizzes, such as Kids Lit Quiz, or writing competitions, such as NaNoWriMo, individually or as part of a team. Please let Ms. Katie Day, Secondary Teacher-Librarian, or Ms. Victoria Hall, MS English Teacher, know if you are interested in any of these, or simply come to the Harry Potter room in the Secondary Library on Mondays after school.